There is a mounting body of literature dealing generally with the dynamics of transitions of human systems towards sustainability and specifically with the different stages and processes of transitions. However, the question of why transition processes occur in the first place remains largely unexplained. 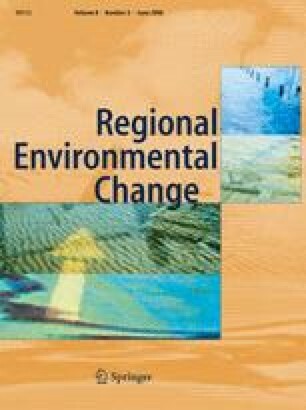 This paper explores the concept of transition triggers, such as culture or material resource scarcity, and provides a theoretical framework to explain the emergence of a transition and its relation to recent developments in Spanish water policy. We adapt the general framework provided by current transition theory and gather empirical evidence and insights from processes occurring within the Spanish policy context and the Ebro river basin in particular. Our results show that the sole existence of biophysical limits to water use or development cannot explain the start of a possible sustainability transition in this domain in Spain. Changes in the existing water policies in the direction of sustainability were not ignited by people directly affected by water scarcities but by a coalition of sensitive agents, mostly from academia, NGOs and local constituencies, who managed to articulate new identities, integrate multiple sources of policy relevant knowledge, and develop new values under the umbrella of the new water culture movement. This research has been funded and has benefit from discussions within EU project MATISSE (Methods and Tools for Integrated Sustainability Assessment) for the domain of water (Contract 004059-GOCE-MATISSE; 1/4/2005–31/3/2008). Authors would like to thank Jill Jager and Paul Weaver for their helpful comments on the manuscript. An early version of this paper was presented at the fifth Iberian Congress of Water Planning and Management, Faro, Portugal, 4–6 December 2006.